For me, inspiration comes from many places, including Facebook, Pinterest and Instagram. Everyone is sniping at social media, how awful it is for our health and sanity, but I have to say I've gotten some really strong ideas and support there. 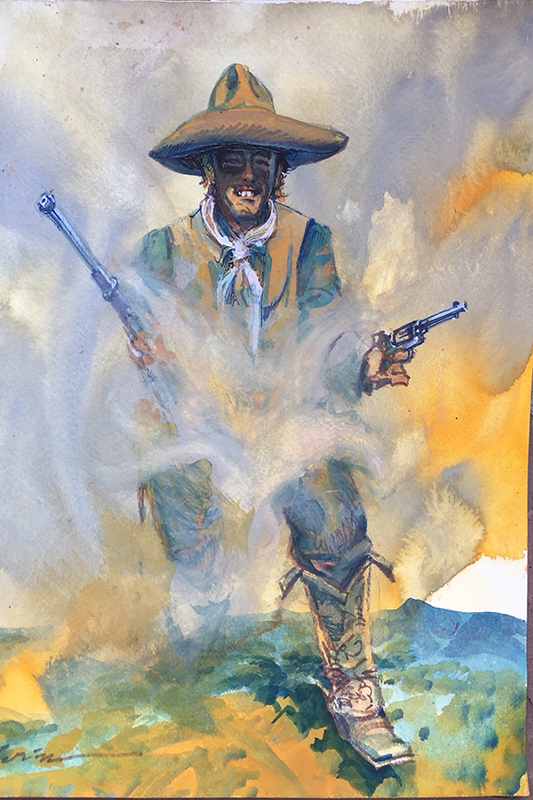 It was on Facebook that Peggy ONeill dubbed me, "The Duke of Dust." 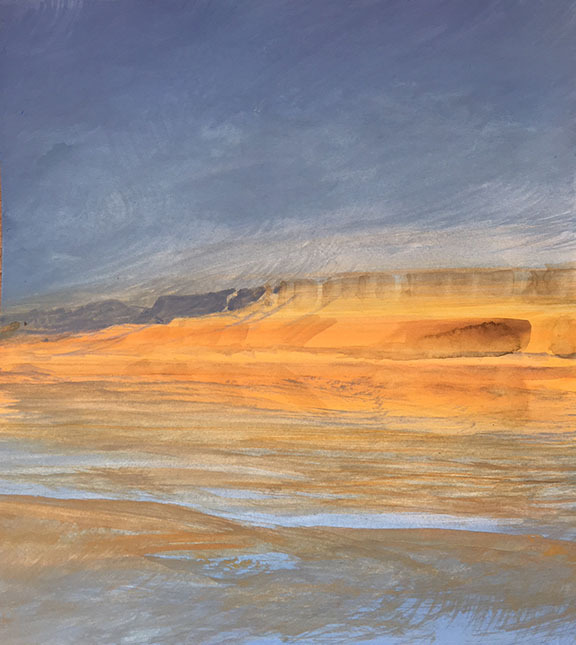 And, on Instagram they have this cool aspect to it where if you "love" something, it feeds you more of that and so I have a ton of cool paintings, some being created on the spot with stop-action, sped up, which is very instructive. 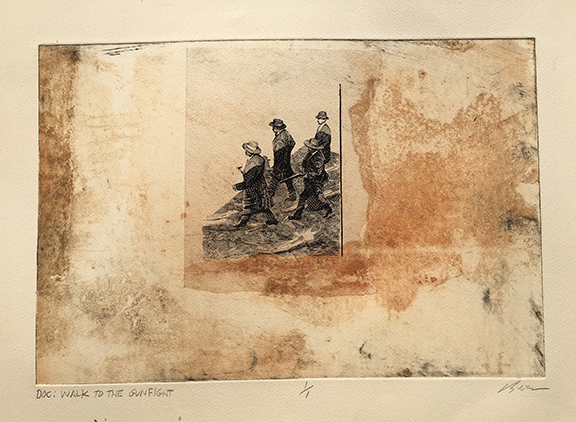 In fact, it inspired this painting. 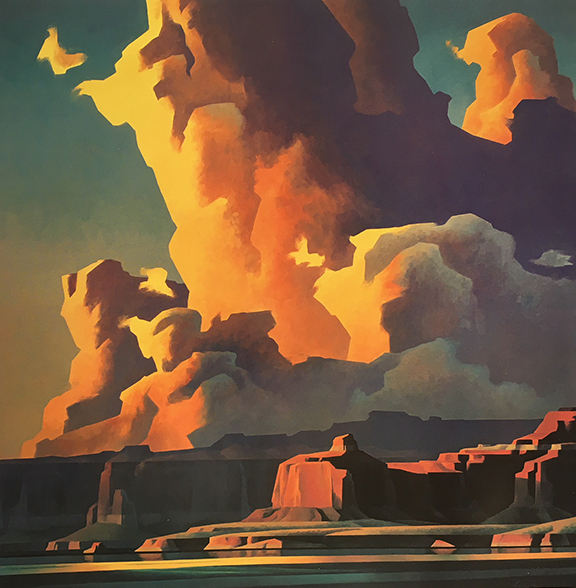 Daily Whip Out: "Out of Turbulent Skies"
Don't tell Ed Mell, but sometimes he really pisses me off. 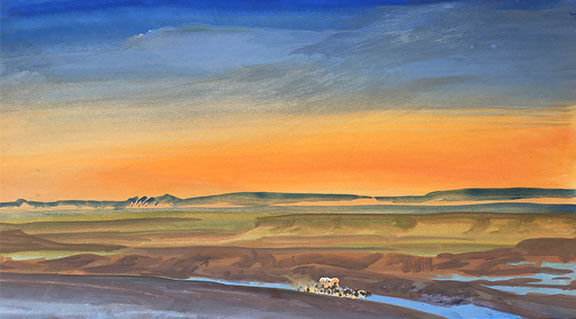 When I attended the Arizona History Conference at the Doubletree in Tempe last month, a group of us went to lunch in the restaurant off the lobby and unfortunately, I got seated in a booth with a straight on view of a big Ed Mell print of Lake Powell. I spent most of the lunch trying not to look at the brilliance of the damn thing and I won't say it ruined my lunch, but I will say, if I ever eat there again, I will face the other way. Speaking of crying at the brilliance of others, the afore-mentioned Peggy ONeill sent me a link—from Facebook—to a fine piece of journalism on J.M.W. 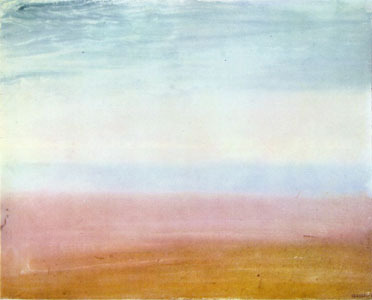 Turner, the preeminent British painter. 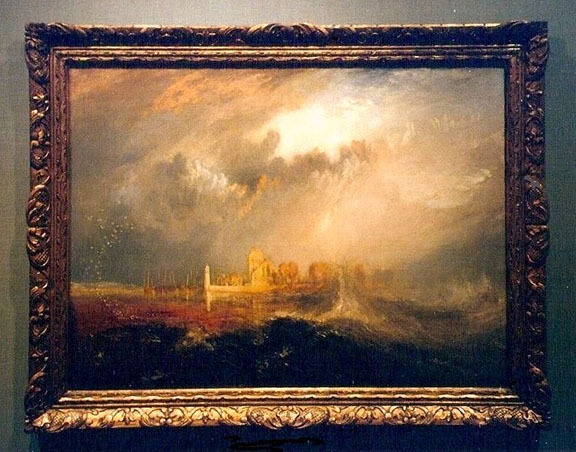 In the article it says when Turner viewed a painting by Claude Lorrain, for the first time, he burst into tears, confessing, "I shall never be able to paint anything like that picture." I can certainly relate to all of that. The crying, the painting without a brush, the farting into a trumpet. "Farting Into A Trumpet at The O.K. Corral"
Daily Whip Out: "Down to One"
"This guy Turner, he learned a lot from me."